The Mini picked up a nasty vibration. 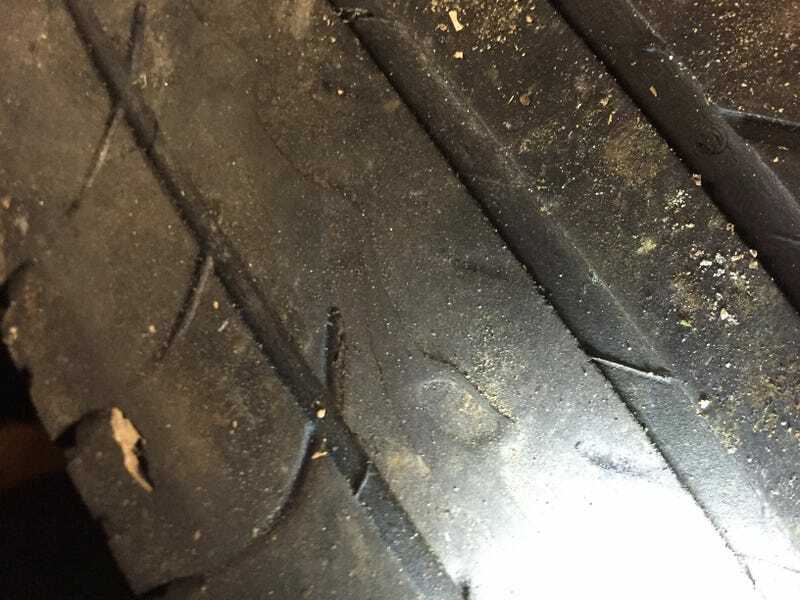 Pulled the passenger side front tire off and found what looks like rubber build up on the second tread bar in from inner edge. What causes that? Alignment? Bad bushings?